This 80 Page Lined Journal Notebook from AnyPromo is a wide ruled notebook with a matching elastic strap closure and bookmark. The durable yet flexible PVC cover protects the pages from getting crumpled. Available in multiple colors (assortments may be available) with Screen Printing, Pad Printing, or digibright process printing on an imprint area of 3" x 5" to display your logo. 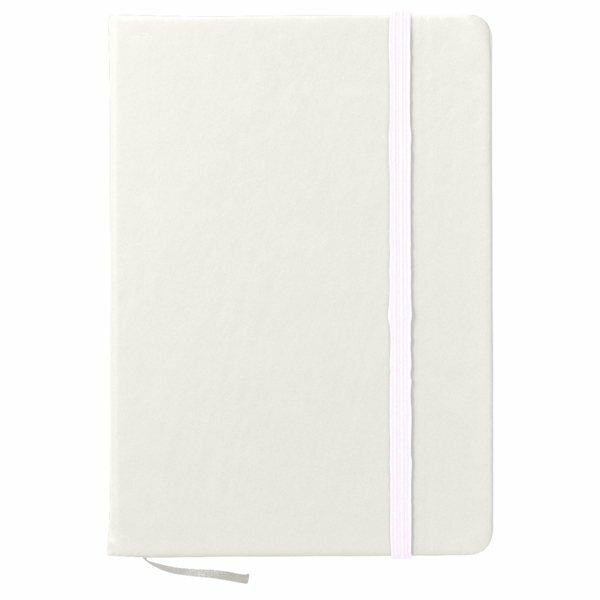 This PVC cover Notebook Journal is great for looking prepared and professional while taking notes. Whether you're a new employee at orientation or a consulting a new client, branded journals are an effective way to make a good first impression. Our unique wholesale journals and notebooks won't break the bank either, making them very budget-friendly gifts. The 5"x7" Journal Notebook is a customer-voted item because it makes a great giveaway. Unique writing journals are perfect for all those students in your life! Treat your customers to a gift they'll enjoy with this 5"x7" Journal Notebook and get your brand exposed every time they reach for it! 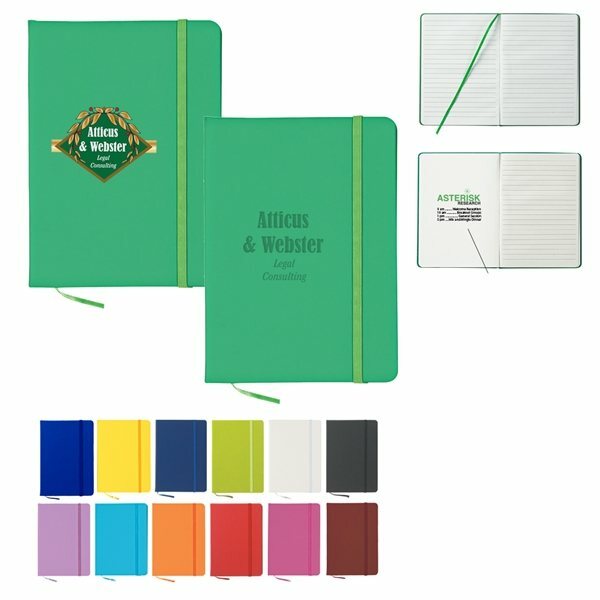 Notebook contains 80 pages of premium wide-ruled paper. Sturdy and flexible PVC cover. Color matched bookmark and elastic strap closure. May be available in assorted colors, depending on inventory. 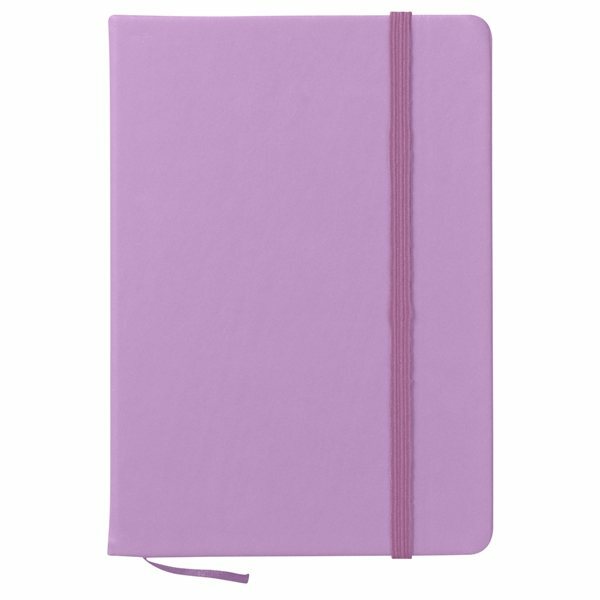 Journal comes with a ribbon bookmark attached inside and an elastic strap to secure the cover. Want to include another message? This journal features an optional printing area on the inside of the front cover. Do you need or want multiple vivid colors printed? Digibright full color digital printing is available. Need custom journals in a hurry? 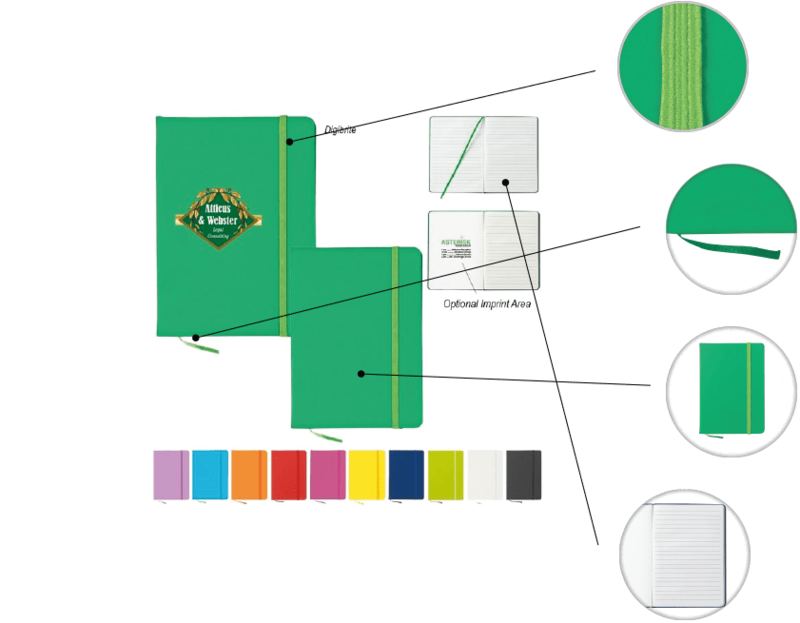 Get free 1-day rush production when you order this product with a 1-color imprint from AnyPromo. GREAT experience. Product and logo is good quality, vivid colors. Wonderful turn around. Shipment was just as promised and in plenty of time. I continue to be pleased with AnyPromo.com service and quality. I am pleased with the way these turned out. My first choice was out of stock, and I'm glad I ended up with these instead. They have the feeling of quality. There is a large custom imprint area. I chose silver ink, which looks very nice. 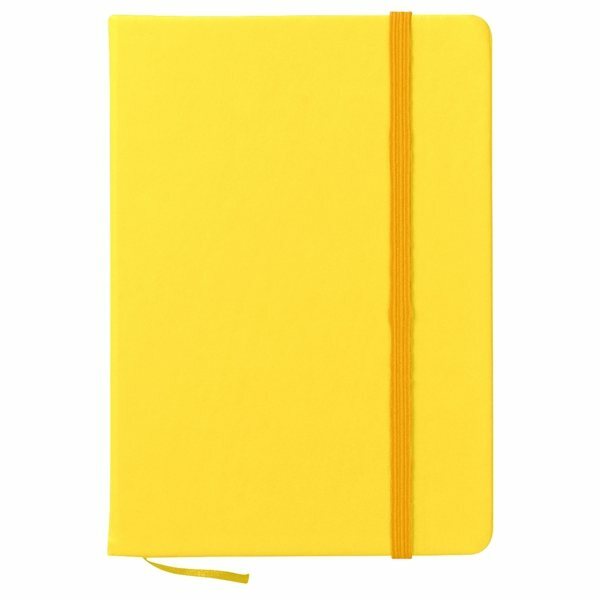 An elastic band hold the notebook closed, and a ribbon marks the page where you left off. The price per each is low enough that I can freely give these away to clients and prospects. Exactly what we were looking for! Will definitely be ordering again in the future. Thank you for the excellent service.